1. Create videos that focus on your brand and reinforce on the people your brand value. 2. The most important tip for your video optimization is a proper content. People need to love your video for your content too; else they would not go in for it. 3. See to that your metadata has the video in it, since many users search with this keyword. On adding this word in the metadata, chances of your video coming up as the search results tends to be high. But remember not to overuse the word. 4. Try choosing preferred formats like .mov, .avi, .wmv. This can help the users to have the videos in the formats that they want. 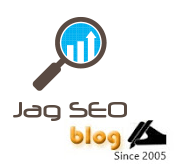 May be you can have anyone of the formats to be available for search engines. 6. Try to maintain a catchy title with the keyword that you would like to use for the video. It can act as a biggest convincing factor for your visitors to opt it from the search results. 7. When you have multiple videos, try using thumbnails that will enable your viewers to view the video of their choice. This will help them to decide on which video they want to spend time on completely. Generating the thumbnails can vary in various sites. 8. It’s seen that the search engines are interested towards the videos that are rated, so do the viewers. Hence give an option for your visitors to rate the videos. This can interest the search engines and the visitors towards your videos among the results. 9. On using any commercial content in the video, see to that there is a watermark that indicates the origin of the content. In case your video is copied by numerous sites; it will continue carrying your brand and site details benefiting you. 10. Keyword usage in the filename and in the URLs is very beneficial. Search engines give appreciable weight age on these videos. Try avoiding stop words in the filenames, like “the”, “and”. 11. Appropriate usage of keywords in the link text gives your video a lot of benefit. 12. Have your video placed in many places as you can. Good exposure to your video is very essential. This can also be done by trying to publicize your video using feeds like RSS and MRSS feeds. 13. Try using social bookmarking sites to increase the visibility of your video. Irrespective of the promotion medium used, this option can help you a lot. 14. Have “send to friend” option. Benefit them and also get benefitted. 15. Try offering the option to have your video embedded in other sites too. People can help you to spread your video around as much as they can.